Because they only have their main engines for propulsion, today's massive modern jet liners can burn hundreds of pounds of fuel just taxiing from the boarding gate to the runway. That translates to multiple tons of wasted fuel every year and more than $1.1 billion in added operating expenses . But with this new electrical wheel drive, airliners will finally only need their engines for flying, not driving. The WheelTug e-taxi system from Borealis Exploration Limited is a nosewheel-mounted, induction motorized ground propulsion system. 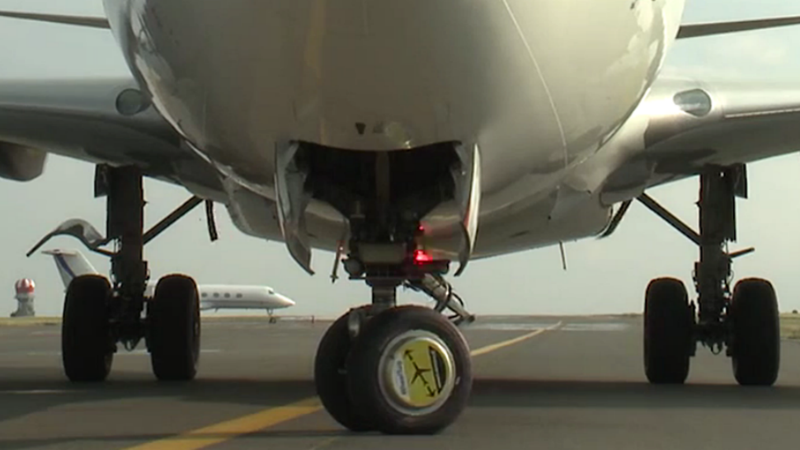 Measuring less than five inches in width and weighing about 300 pounds, this system produces enough force to push a 200,000-pound A320 around a tarmac. "The idea of putting an on-board electric drive system on aircraft is not new, since there are so many clear advantages," Isaiah Cox, WheelTug President and CEO, said in a press statement. "But until recently there was no electric motor technology with the capability to produce the required high torque for its small size, weight and safety profile to make it possible." And since it doesn't require the plane's engines to work, powered instead by the aircraft's APU (auxiliary power unit), the flight crew only needs to rev up the main engines upon take-off, thereby saving time, fuel, maintenance, and money. Lots and lots of money. The system is expected to reduce the operating cost of each aircraft by as much as $500,000 per year or about $700 per flight. "We believe on-board electric motors have a great many advantages," added Bob Carman, Chorus Motors' former WheelTug program manager. "They could reduce the need for ground tugs and their associated costs, allow faster flight turnarounds and increased fuel efficiency per trip, and reduce airplane noise and emissions at airports, to name just a few advantages." What's more, these drives allow the plane to rotate in place so rather than pull in and out of a single gate, the plane could pull up, turn 90 degrees, and unload passengers from both the front and rear doors—halving the time it takes to board or disembark.